In order to make it easier for future customers to know the right edition for them to acquire, the team making Windows 8 announced a simplification regarding the versions of the new operating system. The number of editions will be reduced to four, leaving behind the system of more than six versions slightly different among them used to commercialize Windows 7. Although there will be four editions, most customers will have to choose only between three, because the fourth one will be for enterprises signing a special agreement regarding software assurance. 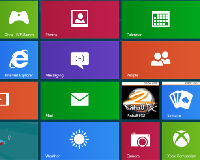 Windows 8: the best option for most users. Windows 8 Pro: with functions for businesses and tech enthusiasts. Windows RT: available only pre-installed on PCs and Tablets with ARM processors. Windows Enterprise: similar to Windows Pro but only for enterprises signing a special agreement. As stated in a previous article, a report citing confidential sources informs that Windows 8 will be released next October, this year.